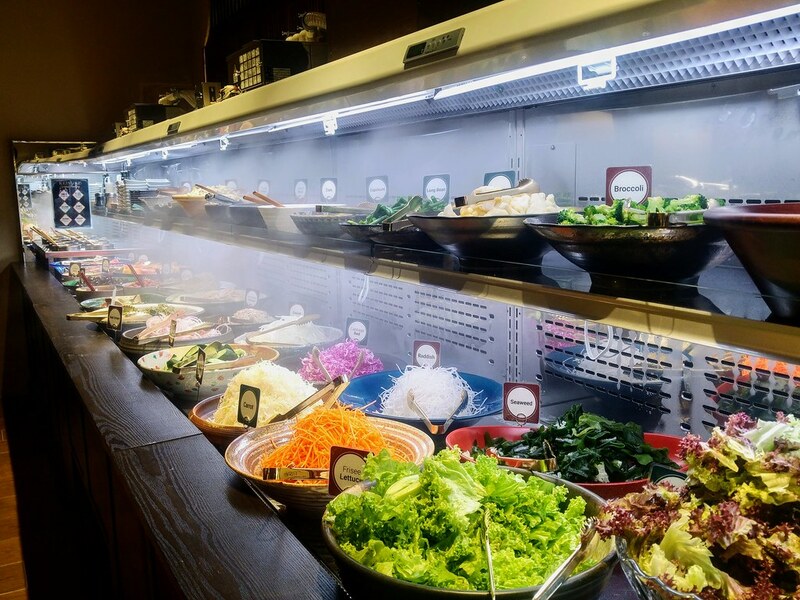 Charcoal-Grill & Salad Bar Keisuke at Paya Lebar Square embodies the concept of sumiyaki (charcoal-grill), in which food items are slow-grilled over hot charcoal. Uses only bincho-tan imported from Japan, such Japanese white charcoal not only burns cleanly with a high steady heat, it also has alkalised heat which neutralises the harmful acids that occur during cooking. 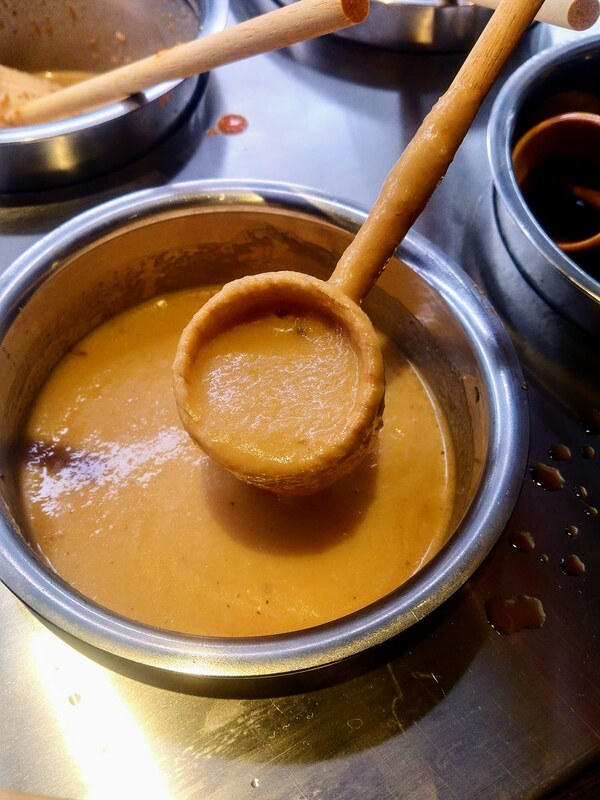 Cooks four times faster than gas, they are known for producing food that are tender and succulent as any loss of moisture and flavour during cooking is being minimized. 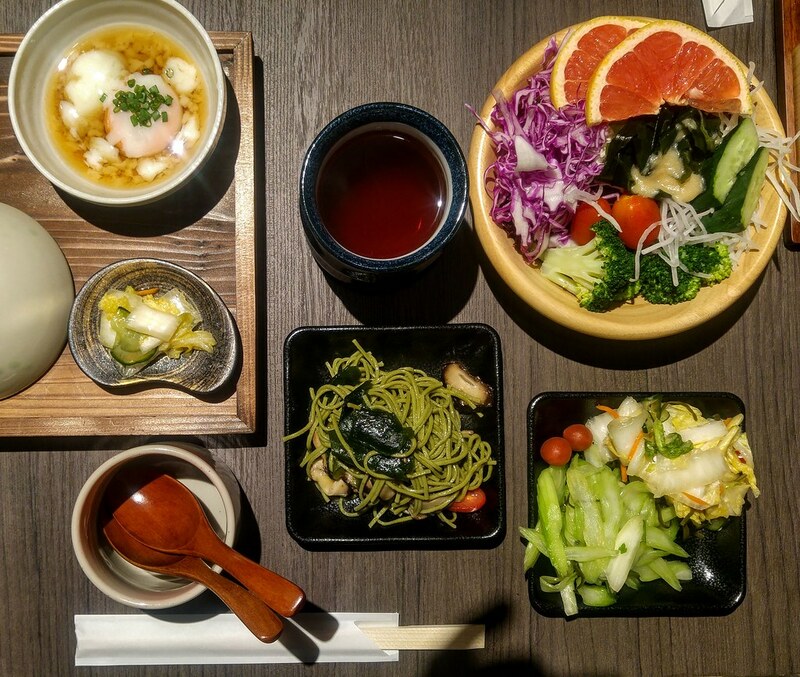 The free-slow salad bar, with more than 30 types of Japanese side dishes and fresh vegetables is impressive. And I do want to come back simply because of this salad bar. I love the pickled cabbage and celery, which serves as great appetizers while waiting for my grilled items to be served. Another of my favourite is the Chasoba salad, tossed with mushrooms and wakame. You can choose from 6 types of salad dressing, and this Honey Miso Ginger dressing makes all greens devilish. 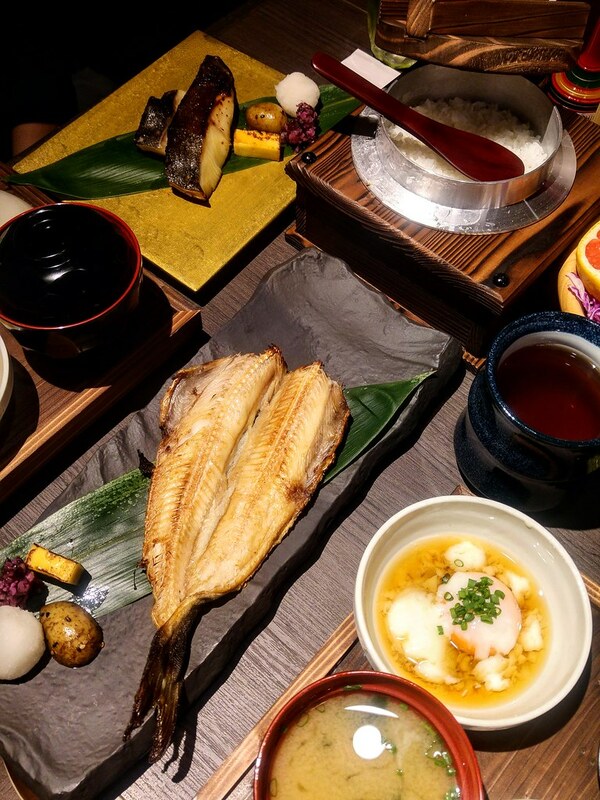 Focusing on traditional fish dishes well liked by the Japanese, each set meal comes with miso soup and onsen egg. What I find a nice touch is the serving of Japanese rice cooked traditionally in a small iron pot, served to each diner. 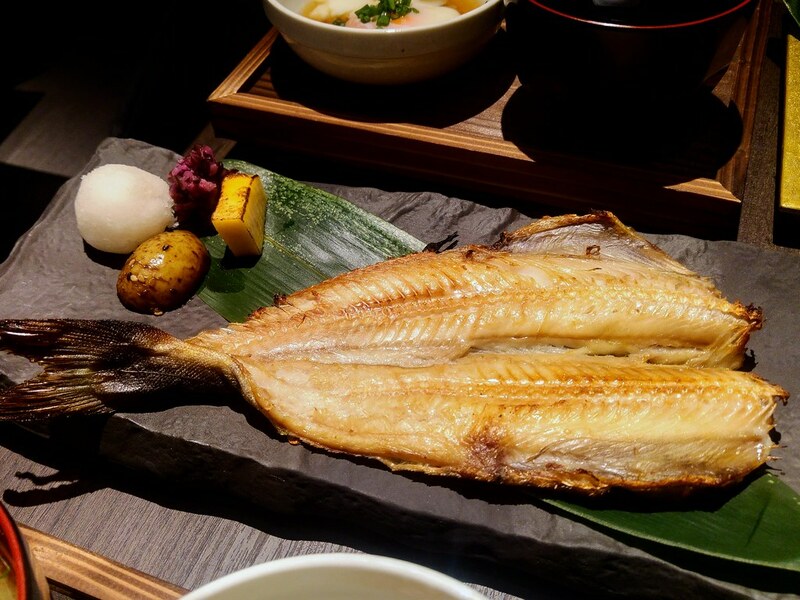 One of the specialities here is the Charcoal Grilled Dried Atka Mackerel ($14.90), a fish not commonly served elsewhere. The soft bones are not an issue at all, as I do enjoy taking my time to slowly pick off meat from the bones but in between bites there was slight bitterness, especially the burnt parts. 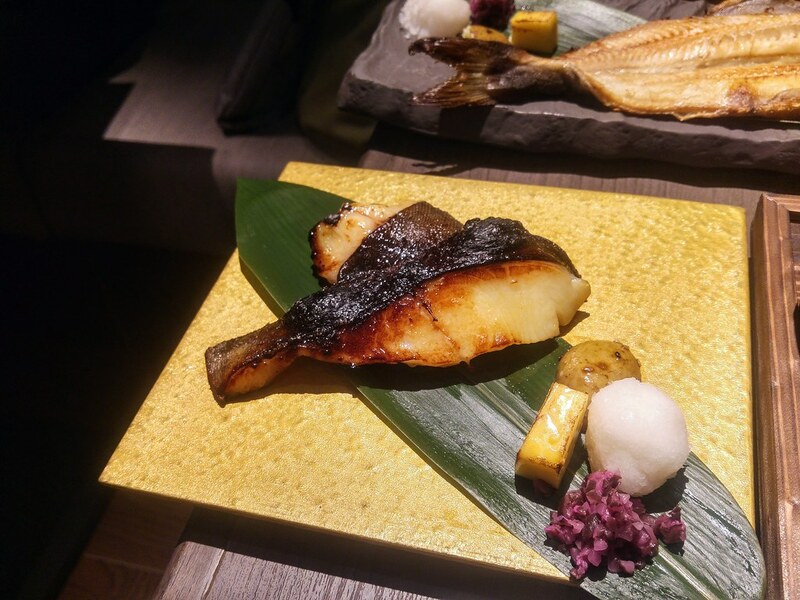 The Charcoal Grilled Miso Marinated Black Cod ($21.90) was definitely more satisfying, especially the fatty part. Pairing the meat with the little items at the side also helps to enrich the texture of the meat, especially that cube of grilled cheese that is served in every set. However, it was not as moist, tender and flaky as I expected it to be. In fact, some parts were rather stiff. 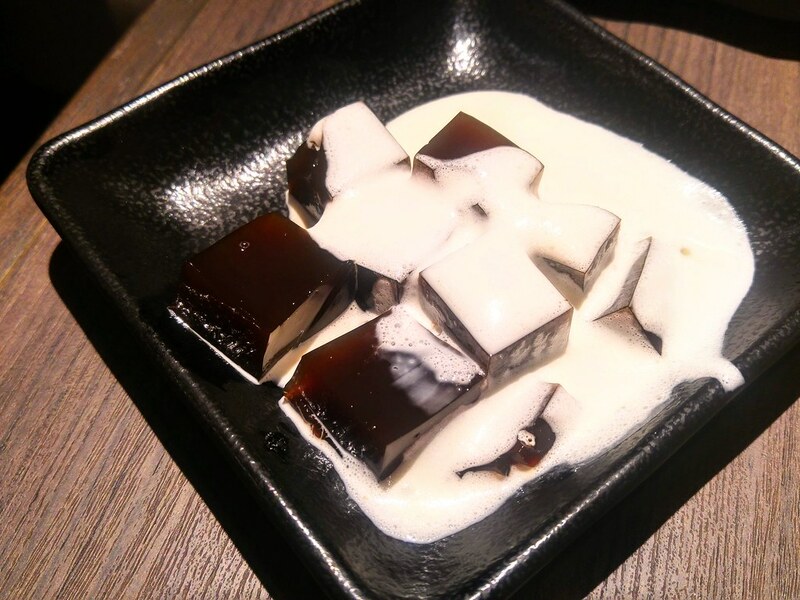 But I guess that can be forgiven when their Coffee Jelly tastes so good! This fellow diner was exclaiming how good it is as he drowned his coffee jelly with scoops of the cream sauce. Nope, he wasn't exaggerating at all. While most jelly are simply sugar and colouring, this bitter-sweet version with cream carries reminiscences of a Viennese coffee. With this, I don't really need a coffee to end my meal afterall.